As the shared economy continues to grow and as more Australians realise that they can earn money from their caravans, Camptoo thought we would put together a bit of a guide when it comes to hiring out your caravan. The questions hire my caravan and renting out my caravan are common phrases typed into Google. There are over 500,000 registered RVs in Australia and most of them are garaged for the 11 months of the year which means there is a whole heap of caravans not doing much. The first important question to ask yourself is why you searched for hire my motorhome or caravan. There are plenty of different reasons for doing so and here are a few of them. If you do have a few questions after reading this feel free to email brandon@camptoo.co.uk with your questions. Earn an income from your caravan, give your caravan a job. 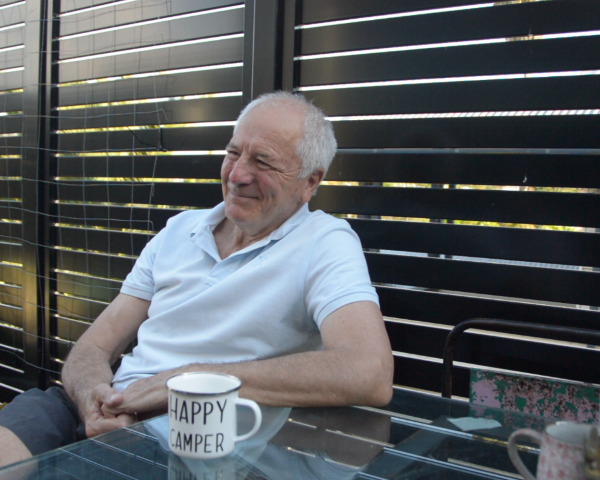 When owners realise they are able to make a great side income from a caravan that sits in their driveway for 11 months of the year they generally want to learn a bit more. Tim’s motorhome was just sitting there, now its out earning money. We have some owners that want to hire out their caravans or motorhomes for a week of the year to cover insurance and registration costs, and other owners that want to hire out their caravans as much as possible and build a side business. It is completely up to them in terms of how much they want to rent out their vehicles. Meet new people and let other families enjoy your caravan. Not every family or couple has the privilege to own a caravan or motorhome and renting one is the next best thing. But it can be expensive and they don’t want to deal with the big caravan rental companies. By renting out your motorhome you get to give other families a pretty awesome experience and something the kids will remember forever. 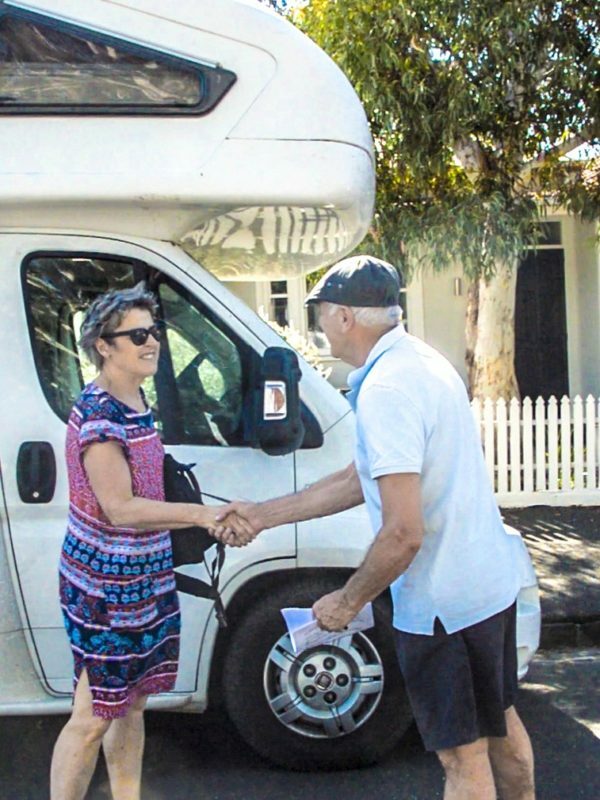 Caravan or motorhome owners on Camptoo usually start because they want to earn an income from an asset that just sits in their driveway but they stay because they love meeting new people and giving fellow travellers awesome experiences. How much could I earn from hiring out my caravan? This very much depends on you and what you want to do. There are a few variables to consider. Some people want to hire out their caravans for a week of the year, their thinking being that if they can hire it out for a week they can enjoy it for the rest of the year. We have other people that started with hiring out one caravan and no have a few. With a clear idea of what you want from renting out your caravan, you can set the price. If you wanted it rented out as often as possible you can set a lower price. If you want to get a general idea of what you could earn you could use our Camptoo calculator simply give us a ring. 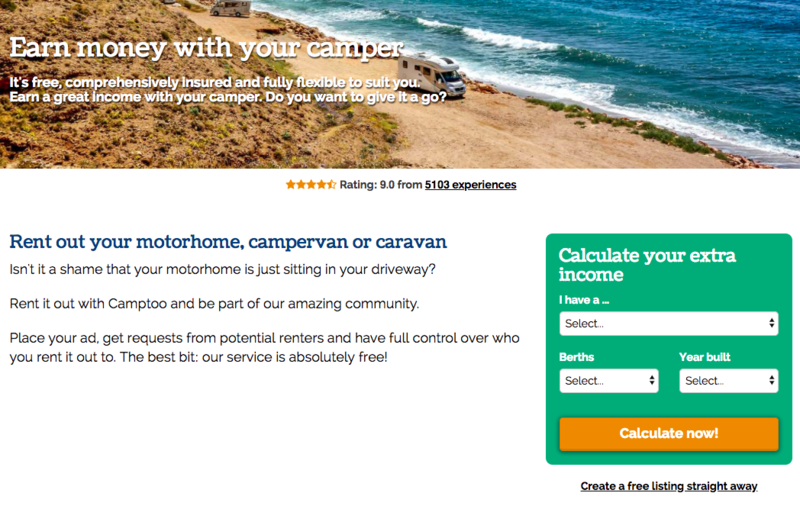 If you wanted it rented out a week of the year you could list on Camptoo for a peak price. Remember you can set a different price for peak periods such as Christmas and Easter when every man/women wants a caravan. Owners own their vehicle and therefore have full control of their caravans and motorhomes and who they rent it out to. There is never any pressure for people to rent out their caravans if they don’t feel comfortable or they want to use them. 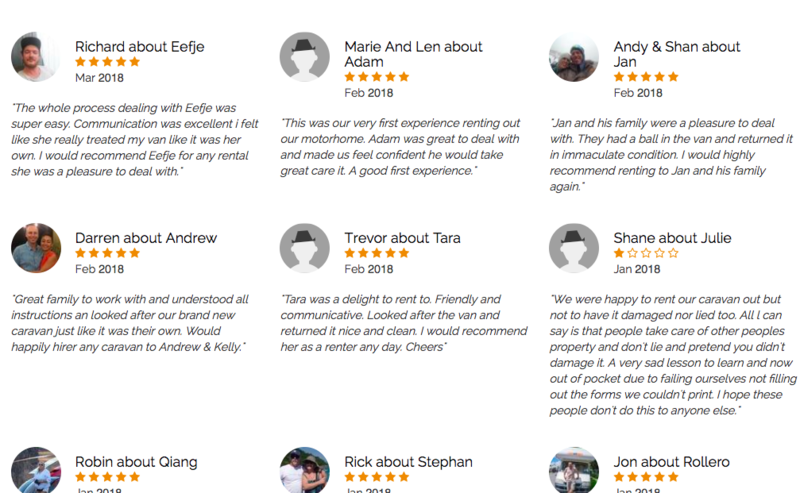 Check out some of the reviews on Camptoo from owners on the website here. Every time an owner gets a message or reservation about a potential rental they can ask any questions they like to the renter. The renter will get in touch, tell the owner where they want to go, who they are going with, they type of tow vehicle they own and how long they want to rent the motorhome caravan for. The owner can then see if this renter will suit their vehicle and make the decision on whether to rent it out or not. How to hire out your caravan? Well that’s where Camptoo can help as we have built a business that helps owners earn an income from their caravans and help renters hire unique caravans off owner, in our eyes, everyone wins! It is absolutely free to advertise on Camptoo and we help with all the nitty-gritty. We take care of advertising the vehicle, we look after the payment and bond, making sure you have a proper insurance solution in place as well as acting as the intermediary between the owner and renter. We often have caravan owners that create a listing to see what sort of rental requests they get and once they have rented out their vehicles once they want to keep going.